Spain's current government is a parliamentary constitutional monarchy that is based on the Spanish Constitution, which was approved in 1978 and establishes a government with three branches: Executive, legislative, and judicial. The head of state is King Felipe VI, a hereditary monarch. But the actual leader of the government is the president, or prime minister, who is the head of the executive branch of government. He is nominated by the king but must be approved by the legislative branch of government. Spain's head of state, King Felipe VI, replaced in his father, Juan Carlos II, in 2014. Juan Carlos came to the throne in 1975 upon the death of fascist military dictator Francisco Franco, who abolished the monarchy when he came to power in 1931. Franco restored the monarchy before he died. Juan Carlos, the grandson of Alfonso XIII, who was the last king before Franco overthrew the government, immediately began to restore a constitutional monarchy to Spain, which resulted in the 1978 adoption of the Spanish Constitution. Juan Carlos abdicated on June 2, 2014. In Spanish, the elected leader is generally referred to as El Presidente. However, this is misleading. Presidente, in this context, is short for Presidente del Gobierno de Espana, or president of the Government of Spain. His role is dissimilar to that of, say, the president of the United States or of France; rather, it is analogous to that of the prime minister of the United Kingdom. As of 2018, the prime minister is Mariano Rajoy. 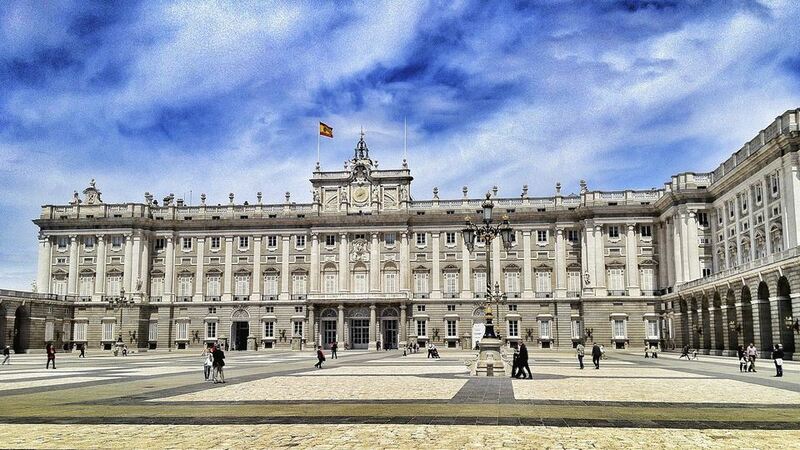 Spain's legislative branch, the Cortes Generales, is made up of two houses. The lower house is the Congress of Deputies, and it has 350 elected members. The upper house, the Senate, is made up of elected members and representatives of Spain's 17 autonomous communities. The size of its membership varies depending on population; as of 2018, there were 266 senators. Spain's judicial branch is governed by lawyers and judges who are on the General Council. There are several different levels of courts, with the top one being the Supreme Court. The National Court has jurisdiction over Spain, and each autonomous region has its own court. The Constitutional Court is separate from the judiciary and settles issues relating to the Constitution and disputes between national and autonomous courts that turn on constitutional issues. The Spanish government is decentralized, with 17 autonomous regions and two autonomous cities, which have significant control over their own jurisdictions, making the central Spanish government relatively weak. Each one has its own legislature and an executive branch. Spain is deeply divided politically, with left wing vs. right wing, new parties vs. older ones, and federalists vs. centralists. The world financial crash of 2008 and spending cuts in Spain have increased division and fueled drives in some autonomous regions for more independence. Catalonia is a powerful region of Spain, one of the wealthiest and most productive. Its official language is Catalan, along with Spanish, and Catalan is central to this region's identity. Its capital, Barcelona, is a tourism powerhouse that is famous for its art and architecture. In 2017, a drive for independence erupted in Catalonia, with leaders backing a full referendum for Catalan independence in October. The referendum was supported by 90 percent of Catalonia's voters, but the Spanish Constitutional Court declared it illegal, and violence broke out, with police beating voters and politicians arrested. On October 27, the Catalan parliament declared its independence from Spain, but the Spanish government in Madrid dissolved parliament and called another election in December for all the seats in the Catalan parliament. The independence parties won a slim majority of seats but not a majority of the popular vote, and the situation was still not resolved as of February 2018. In October 2017, the U.S. Department of State issued a security message for travelers to Catalonia because of the political turbulence there. The U.S. Embassy in Madrid and the Consulate General in Barcelona said U.S. citizens should expect increased police presence and be aware that peaceful demonstrations could become violent at any moment because of heightened tensions in the region. The embassy and the consulate general also said to expect possible transportation disruptions if you are traveling in Catalonia. This security warning included no end date, and travelers should assume it will continue until the political situation in Catalonia is resolved.